I have a confession to make, and don’t tell too many people! I know why I don’t do well with going on diets…I love desserts, most especially pies. During the the month before Thanksgiving and Christmas times come around, I going on an almost starvation type of diet. I’m am prepping myself for the onslaught on Holiday Binge eating! I can’t wait for this time of the year to come around. 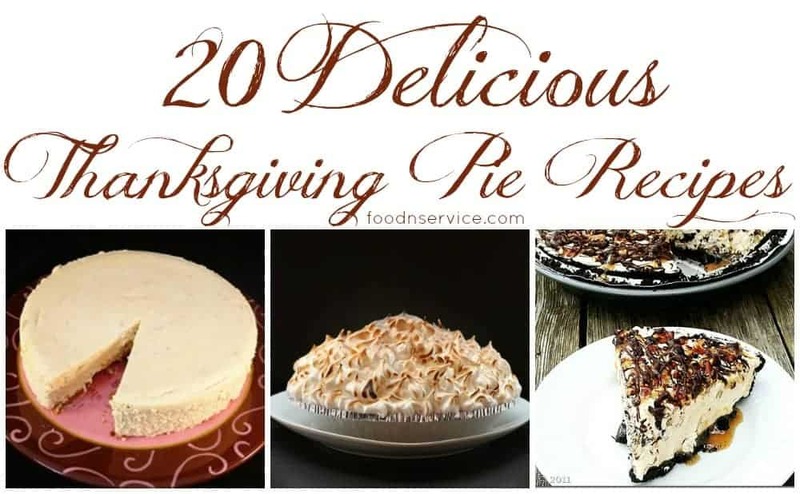 My amazing friend Sadie (from Slapdashmom) understands this about me, and has helped me compile of list of 20 Amazing Thanksgiving Pie Recipes that are just an absolute must to have at the many different meals with friends and families that you will be breaking bread with. Food brings people together. The stress of making a list of ingredients and planning of the making all the food is so well worth it. Food not only help create conversations, but it brings nourishment to the palates of the soul of everyone. You even get to swap recipes with other people who love to cook, and they HAVE to have your recipe and you HAVE to have theirs. It’s a win win for everyone. But with dessert, it adds the finishing touch to everything and everyone loves pie! In fact, everyone looks forward to having pie for dessert, at least they do in my family. It’s a level of expectation that I bring a couple of pies for dessert. This amazing list of pie recipes are going to make you a hit!